If you're finding it hard to get accepted for a bank account, you're not alone. Generally speaking, the last few years have proved very difficult for people trying to get credit, the whole world has suffered financially and the banking sector has gone through a tough crisis. Naturally, this has affected most people in some way: Some lost their jobs, others found the huge rise in the cost of living hard to deal with and others had benefits cut. In all cases, meanwhile, people were suddenly unable to pay their bills. Through no fault of their own, those who ordinarily would pay their bills regularly and on time were missing payments and building up a negative credit history. And this was only the beginning. As you have undoubtedly already found out, having a bad credit score can really affect your chances of getting credit in the future. This is because for banks, it is considered a vital indicator of the risk associated with lending you money. Usually speaking, this may make perfect sense. And yet, in the aftermath of the global recession, even some trustworthy individuals were considered as “not creditworthy”. And so, it may be that you want a mortgage but can’t get one or that you may want a loan but have been rejected. Could things possibly get any worse? Lesson 2 : … and there's more! Indeed they could. Unfortunately, getting credit wasn't the only thing that proved to be impossible. Because of their credit history, more and more people were being denied access to a bank account. Effectively, this development only serves to accelerate the downward spiral. Without a bank account, after all, you can't receive money and therefore not take on a job. Which, in turn, makes paying off your debts even more difficult and may further devalue your credit rating. It seems like the perfect vicious circle. Thankfully, there is a solution at hand after all. For anyone who can not get a regular bank account, there is a bank account for bad credit customers. Although it isn't officially called that, a “bank account for bad credit customers” is basically a simple bank account. It offers no credit facilities, so there is no risk to the bank. You will be able to withdraw money as well as have your wages paid in, or deposit other money. You may be able to set up direct debits which will reduce your monthly outgoings as companies tend to give discounts to people who pay by direct debit. You will be able to access your account online and may also be issued with a prepaid payment card allowing you to load money onto a card and use it much like a debit card. Most of the time, a bank account for bad credit customers is free, too. There will probably still be a credit check carried out and although most people will qualify there are others who will not. If you have been declared bankrupt or have a fraud conviction against your name, then you may not be accepted even for a basic bank account. 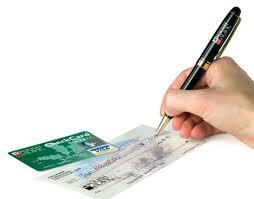 For those people there is another type of bank account for bad credit customers called a guaranteed bank account. This usually involves a small fee but as the name suggests it is guaranteed. So even those with really poor credit scores will qualify as there are no credit checks. Again, this type of bank account will more than likely get a prepaid Mastercard or other prepaid card. As you can see, there are possibilities to get a bank account for bad credit risks by way of a basic bank account or a guaranteed bank account. Providers of these services aren't the only ones you should turn to, however. Whenever you can, try and speak to someone in a similar situation and ask for help. After all, as mentioned before, you're not alone. Divorce can severely damage your credit, and make getting a new bank account hard. 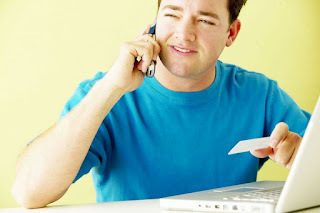 Knowing a few tips on how to get a bank account with poor credit can be huge help.